• The last subchapter ended in early October. The next subchapter takes place in mid-December. • Frank and Lee, born 5 days apart, celebrate their birthdays together on Lee's (later) birthday in the first week of December; this comic is set in between subchapters. 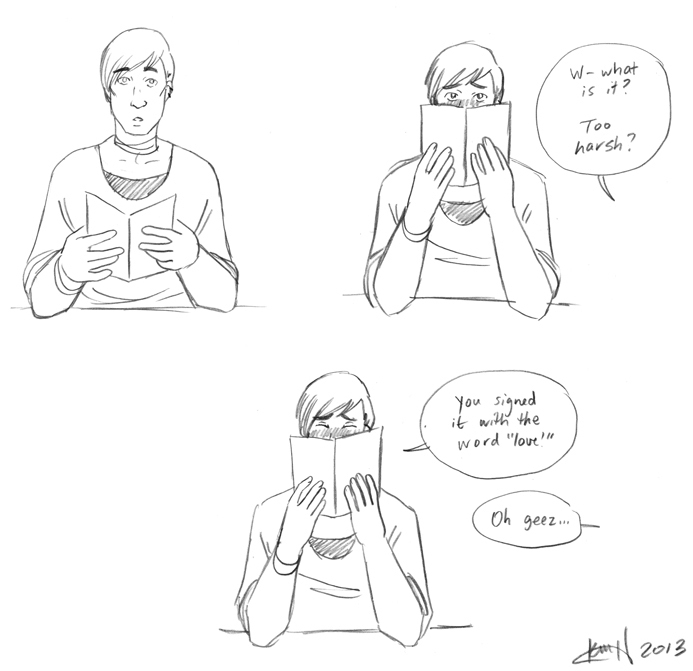 • After Lee saved that kitten in Chapter 1, he left it with Frank because Lee's mother is allergic to cats. This kitten, Lucky, is the one he's referring to. • Lucky is also the kitten in the banner image and in the first two sketchcomics from last week.